There is no better way to prove that function is only limited by imagination than perusing the field of objects made of recycled materials. When it comes to light fixtures, the visual appeal of such objects is doubled by the warming presence of light. 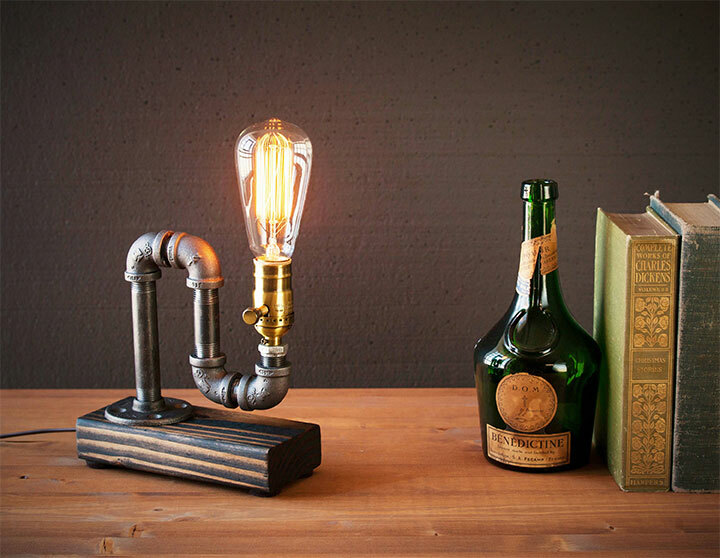 Here are just a few ideas masterfully put in practice by ingenious designers or by handmade aficionados. Designed and sold by Materious, a Chicago-based product design studio, the Bone Lamp is inspired by the concept of bird bones – strong yet light, designed for efficiency, yet capturing the graceful dance of flight. 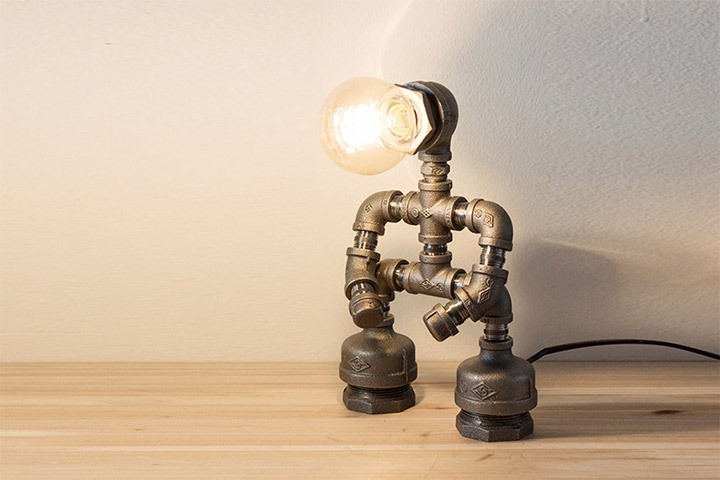 Made of PVC pipe salvaged from construction sites, the lamp gives scrap materials a new life, lending them a surprising beauty. 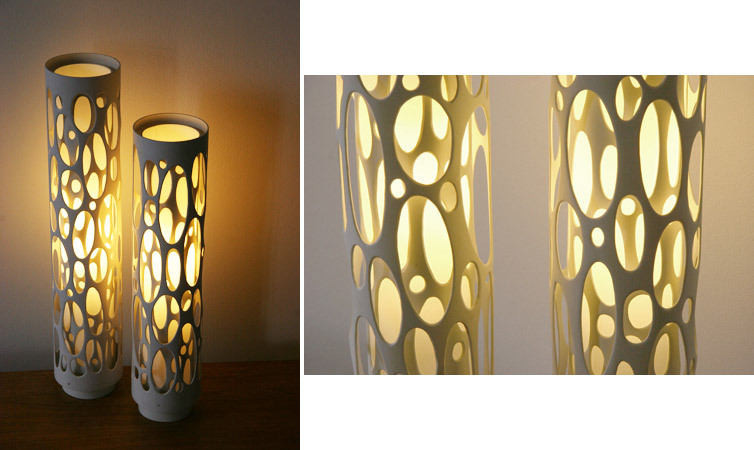 The soft, elongated cutouts create the most beautiful display of light, giving off the feeling of living matter. The use of industrial materials in light fixture making is visually appealing because it is surprising. 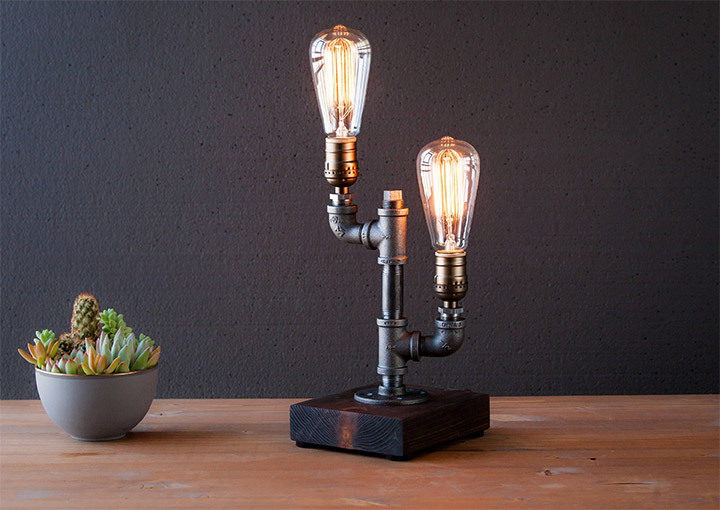 This hand-crafted Edison lamp uses steel plumbing pipes to create a fixture with a rustic effect. The effect is enhanced by the wood support that balances the cold presence of metal with the warmth of organic materials. 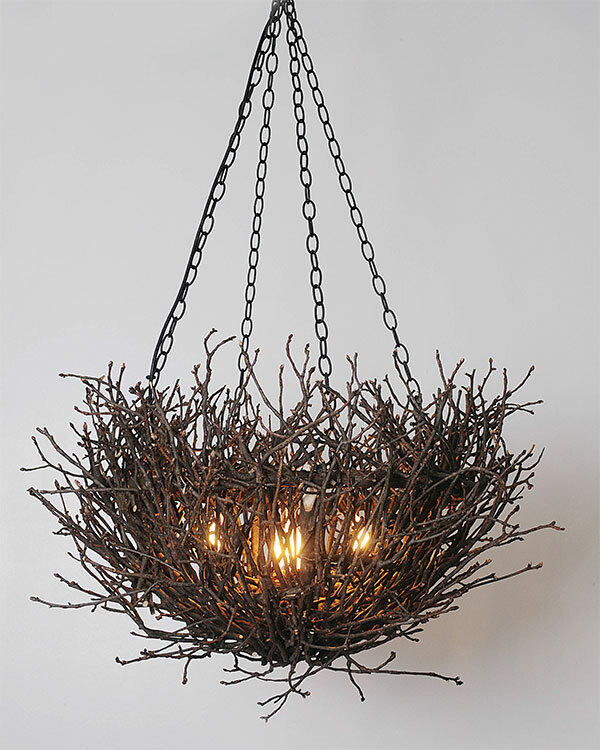 Another hand-crafted light fixture uses branches to nest the lights. This chandelier suits well rustic interiors and, due to the use of natural materials, is a unique piece of decor with an unrepeatable design. Finally, when great designers use unexpected materials in their work, the results are often breathtaking. 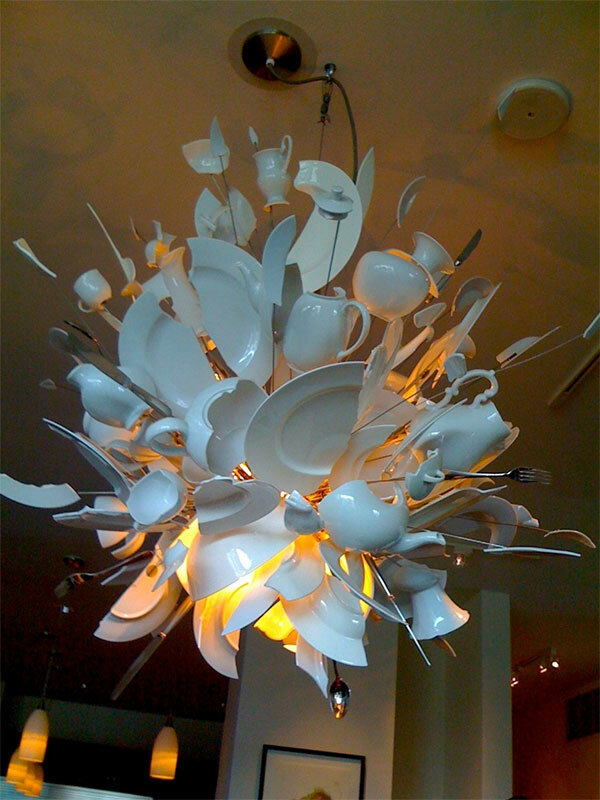 Created by the resourceful lamp designer Ingo Maurer, “Porca Miseria!” captures the movement and energy of an explosion using the most prosaic materials – plates, mugs and silverware. The result is a dynamic statement piece that creates the feeling of frozen time, with objects caught in mid-air. Unified by a simple chromatic choice, the chandelier gives light a new kind of power: light becomes the mystery and energy behind the explosion, ready to reveal itself from underneath the sea of kitchen debris.